Add a stylish appeal to the day. Get ready to be mesmerized with this gorgeous arrangement of 8 red roses in the shape of a heart. 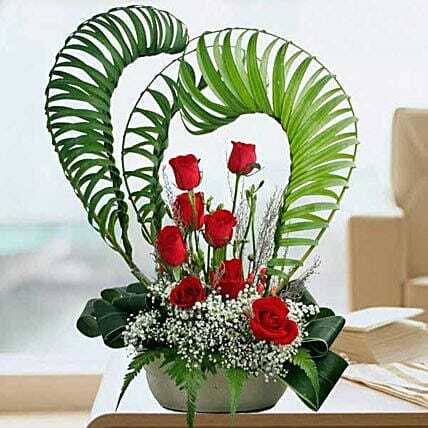 This flower arrangement is perfect for creating wonderful memories to be cherished forever.